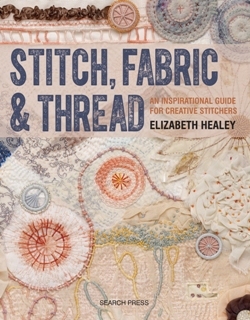 An inspiring, creative and practical exploration of stitch, fabric and thread, which will encourage you to experiment to create your own unique textiles. It is created for people who are who are interested in embroidery and stitch generally, who are uninspired by the usual 'beginner's guide' or 'how to' style of book, and are looking for a book that is heavy on content, but presents the material in a way that is visually exciting and stimulating. It is a treasure trove of over 40 inspiring practical exercises, a rich and creative exploration of fabric and stitch, and a fascinating all-round read. The exercises draw inspiration from around the world, traditional and modern.